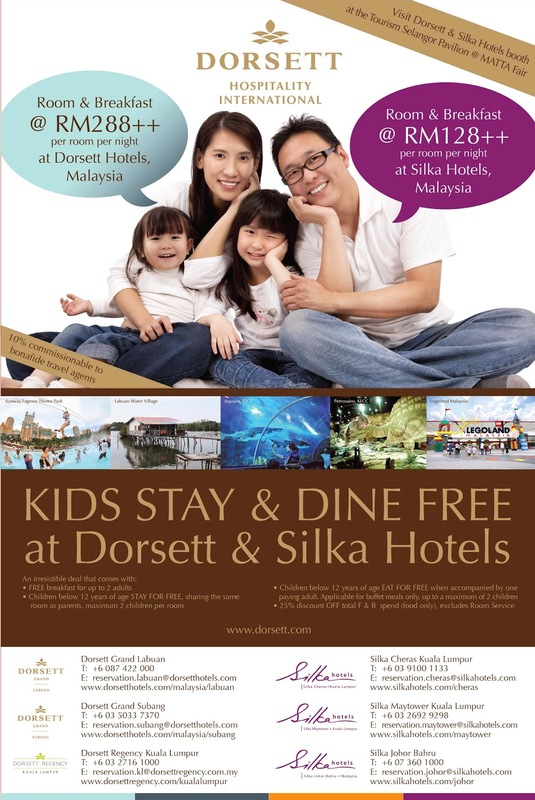 Good news from Dorsett and Silka Hotels this school holidays! 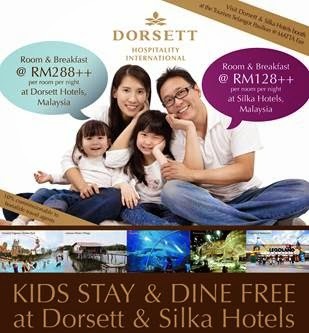 Children below the age of 12 years old will get to Stay and Dine for FREE when their family check-into any of the hotels under Dorsett Hospitality International (HKEx Stock Code 2266) in Malaysia. Exclusively for only a week, starting now until March 22, 2015, children will enjoy a FREE Stay by sharing the same room as parents, whilst for meals, they could enjoy a spread of buffet for Free when accompanied by one paying adult. The room and breakfast promotions start from RM288++ per room per night for Dorsett Hotels and RM128++ per room per night for the Silka hotels. 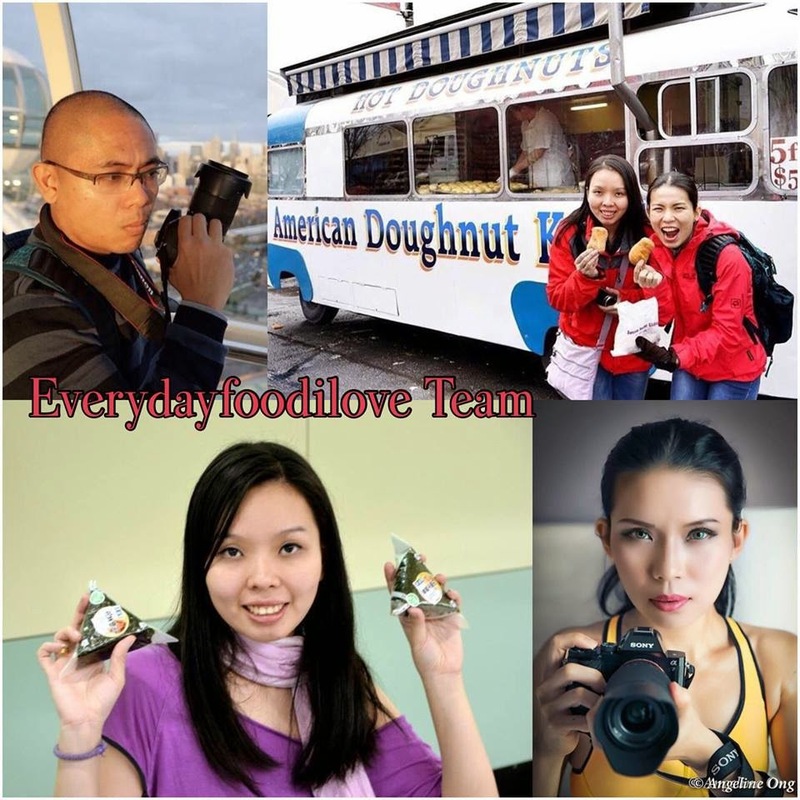 10% commissionable to bona fide travel agents. Promotion terms and conditions apply. Visit Dorsett and Silka Hotels’ booth at Tourism Selangor’s Pavilion at MATTA Fair, from March 13 – 15, 2015 held at Putra World Trade Centre (PWTC), Kuala Lumpur or visit the respective hotel’s websites to purchase the package. At the heart of Kuala Lumpur's Golden Triangle, Dorsett Kuala Lumpur is surrounded by the city's busiest shopping malls, entertainment centres and tourists attractions. One of the group’s newest hotels, Silka Cheras Kuala Lumpur is centrally located in Cheras, a bustling suburb of Kuala Lumpur and next to the exciting shopping hub of Cheras Sentral Mall. 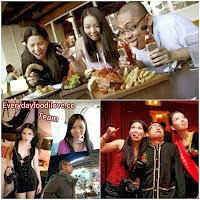 Comfortable, hassle-free and offering great value, this hotel epitomises the true essence of Asian inspired hospitality. With its central location, Silka Maytower Kuala Lumpur is the ideal choice for both business and leisure travellers; offering convenient access to businesses as well as places of interests ranging from shopping, entertainment and dining choices within the city. Silka Johor Bahru features well-appointed rooms that are suitable for value-savvy families and business travellers. Recreational facilities include a sparkling free-form swimming pool and a well-appointed gymnasium as well as tennis and squash courts. Situated in the commercial hub of Subang Jaya, Dorsett Grand Subang is an upscale urban resort offering tastefully furnished guestrooms and suites as well as a host of business, dining and recreational facilities to cater to the needs of its discerning guests. The premier hotel in Labuan, the Dorsett Grand Labuan brings out the best of what Labuan Island has to offer. 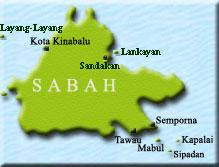 The hotel is only minutes away from the Labuan Airport and a short distance from its bustling town centre. With an international buffet spread and wide array of ala-carte dining, a sports lounge for guests to catch their favourite sports coverage, and a bar offering live entertainment at night, Dorsett Grand Labuan truly inspires!